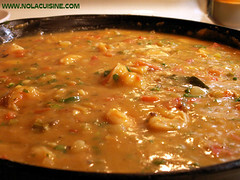 My latest post at Nola Cuisine, Shrimp Etouffee, one of my absolute favorites. Bu sure to also check out my Index of Creole & Cajun Recipes! I love all your recipes!! The shrimp stock is brilliant.